Your business has the potential to grow. Offering additional services means more exposure and more income. 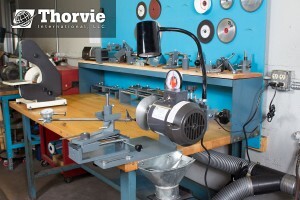 There are several avenues to explore in the sharpening industry. It is likely that the machine you are using right now could support an additional accessory to help you target different markets. 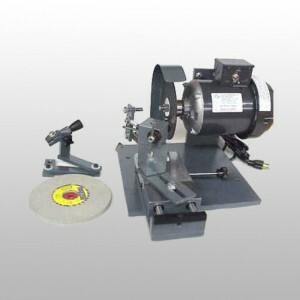 The AV-40 saw blade sharpener is our top-selling machine. It offers 20 additional tool fixtures to support business growth. Some of our most popular add-ons are the router bit fixture, jointer and planer knife fixture, wood chisel fixture and lawn mower fixture. Investing in just one of these accessories can increase your profitability by huge margins. Every additional tool fixture and accessory is easy to install and operate and comes with proper training aids. Customer service is available 7 days a week if you need additional support. Set your business apart from other companies by offering your customer more. Below are some simple services you can offer that other companies will not. AV-55 Saw Blade Polisher – Polishing a customer’s saw blade is a step above and beyond what your competitors are doing. Presenting a blade that looks brand new and clean shows the customer that you care and respect them. 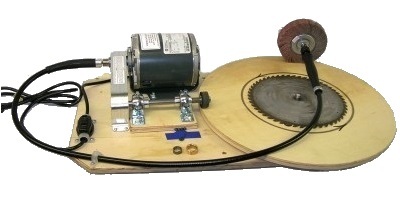 Offered in two sizes, 18″ and 24″ saw blades. 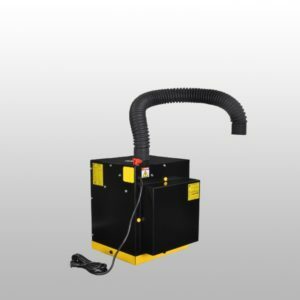 AV-38 Re-tipping Fixture – Offer your customer an added service by re-tipping their expensive saw blades. Even standard contractor grade blades can be worth replacing the carbide teeth and replacing them will save your customer a lot of money. Saving them money allows them a larger budget to spend on your services.